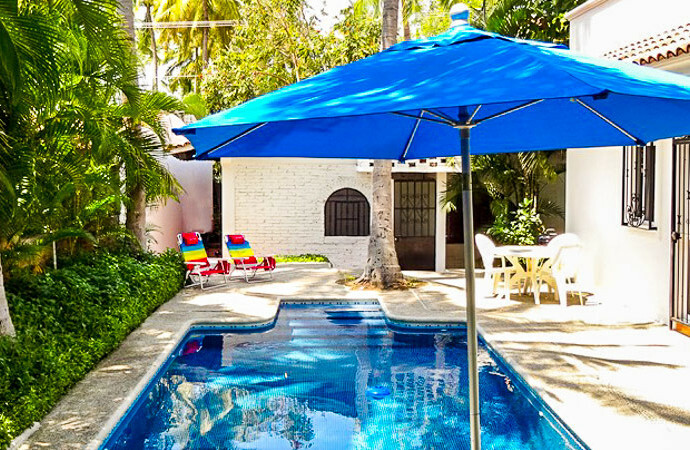 Beautiful and cozy three bedroom, three bathroom house just one short block from the beach in Bucerias. First bedroom with king size bed, second bedroom with queen size bed, third bedroom with queen size bed, small living area and separate kitchen and bathroom. Walking distance to restaurants and shopping. Maid service Monday through Saturday. Cable TV and DVD. Perfect accommodation for those seeking privacy and proximity to the beach. * Prices are in USD plus 19% tax.